One of the most common financial questions I have heard over the years, is whether it is better to pay down your mortgage or save for your retirement? Recent behaviour indicates that many people have chosen to focus on paying down their mortgage vs saving for retirement. In my opinion this is a reflection of the time tested adage that money is about more than math. The emotional decision to seek out security over more financially profitable alternatives often takes precedence. When you do take a look at the numbers; (particularly expected rates on return on your RRSP compared to the prevailing cost of mortgage debt) the decision definitely favours adding to your retirement savings. Here is an excellent article that takes a look at the math, as well as the emotion. ​Saving for retirement beats paying down your mortgage. There – a long-standing debate in Canadian personal finance is settled. To build wealth in today’s low interest rate world, divert money you were going to use to pay down your mortgage balance to your registered retirement savings plan or tax-free savings account. This is the conclusion of a report to be issued Thursday called “Mortgages or Margaritas: Is Paying Down Debt Putting Your Retirement at Risk?”. Read on to see the proof. Accountability Challenge Week 8: A Simple Plan for Success. As you know by now, (or at least I hope that you do), one of the four core steps to our Power of Persistence formula to reach any goal that we set is to have definite plans backed up by continuous action starting right now. In this week’s lesson I want to focus on helping you to create a simple, yet very powerful daily plan of attack. I personally use this very simple formula every day to help me to stay on track. Again, I wish I could claim credit for the creation of this step, but I can’t. I was initially introduced to the original version of this gem of an idea in where else? Napoleon Hill’s classic book Think & Grow Rich. This version is a slight modification. 6 Most Important plus Vital One. Before you leave the office at the end of each day or at the latest before your head hits the pillow each evening, take 5 minutes to list out the 6 important steps you can take the next day that will move you closer to reaching your top goals. Of those 6 most important action steps, list out the one step that you consider MOST VITAL. to your success. Be sure to focus 100% of your efforts on accomplishing this one VITAL step. Once you have done that, move on to the next most important step, complete it, and then carry on down your list until all 6 steps are complete. There will be those days where you do not complete all 6 of your action steps. However if you have been diligent in starting with your MOST VITAL priority for the day, then the chances are you will still be making terrific progress to your goals. Here’s a look at what the format for this exercise looks like. It is very easy to put this into your contact management program in the form of an ongoing, recurring activity. During the heart of a bitterly cold winter like we are currently experiencing in southern Ontario-thoughts often drift to what it would be like to pack up and head out for a much warmer, and perhaps more exotic climate. For some people this decision entails not just a temporary reprieve from the harshness of colder climate, but actually making a permanent move-retiring abroad. Whether you are seriously contemplating this decision for yourself, or just day dreaming about it, here is an interesting article to help you divert your attention for a few moments. 52 Week Accountability Challenge Week 7: Six Steps to turn desire into reality. Accountability Challenge Week 7: Six Steps to turn desire into reality. One of the key ingredients in achieving any really big, hairy or audacious goal is DESIRE. In Napoleon’s Hill’s classic book Think and Grow Rich, he states that desire is the starting point of all achievement. Hill teaches us that this can not be just any old ordinary desire. It must be a “white hot” BURNING Desire. Hill explains to the reader that there is one main difference that distinguishes practically all who succeed from those who fail. Wishing for what we want in life will not make it so. But, desiring our goals with a state of mind that becomes an obsession, then planning definite ways and means to achieve our goals, and backing those plans with persistence which does not recognize failure, will bring us the successful achievement of our goals. In Chapter 2: Desire, Hill outlines his can’t miss practical 6 step method for turning our desires into reality. If you are truly serious about achieving your major goals this year, then take the time to complete the following 6 steps. First: Fix in your mind, exactly the goal that you desire. Do not be vague with your description. Be definite as to exactly what you want. Second: Determine exactly what you intend to give in return for the goal that you desire. (There is no such thing as “something for nothing”). Third: Establish a definite date when you intend to achieve the goal you desire. Fourth: Create a definite plan for carrying out your desire, and begin at once, whether you are ready or not, to put this plan into action. Fifth: Write out a clear, concise statement of the goal you intend to achieve, name the time limit for its acquisition, state what you intend to give in return for the money, and describe clearly the plan through which you intend to achieve it. Sixth: Read your written statement aloud, twice daily, once just before retiring at night, and once after arising in the morning. AS YOU READ-SEE AND FEEL AND BELIEVE YOURSELF ALREADY IN POSSESSION OF YOUR GOAL. This week’s challenge is short, sweet and fun. I’m a firm believer that before you experience the actual achievement of any goal, dream, or desire in its physical form, you have to first see, feel, and achieve it in your mind’s eye. Many experts call this “visualization”, or “visioning”. Whatever you want to call it, it’s been proven to work, so let’s give it a test drive, with our most important goals. Find a quiet, peaceful place where you won’t be disturbed or distracted for the next 2-3 minutes. Picture in your mind’s eye, in the present moment, the successful completion of your most important goal. See it as if it is actually happening right now. How would you feel? Would you be experiencing a huge sense of accomplishment, joy, satisfaction, relief, unstoppable self-confidence? Feel those feelings. Bring in as many of your physical senses as you can. How would this experience feel? Look? Taste? Sound? Smell? Repeat this process with other really important goals you have. When I first started out as a financial advisor, twenty years ago, a strategy that was very prominent and recommended by many financial advisors was “borrowing to invest”. This strategy involves taking out a loan to purchase investments outside of your RRSP. The benefits are that the interest you pay on the loan is tax deductible against your income and as long as you earn a return that is equal to the after tax cost of the loan, you will be successful, and have the ability to dramatically increase your net worth over time. However, one of the areas that was overlooked, or down played was that when the investment markets go into a big slump as they do from time to time (also known as a bear market) your losses are magnified. Many people found that they were not emotionally prepared for the ups and downs of this strategy, and as a result this strategy fell out of favour. Does this strategy still make sense for people today? My personal opinion is that borrowing to invest can still be a very effective strategy for the investor with the right type of temperament, who understands the risks and the rewards, and has a long term investment horizon. Click here to listen:to our interview with Talbot Stevens The Smart Debt Coach. I look forward to hearing any comments or questions that you might have. ​Borrowing to invest is always a risky strategy, especially so in a climate like this. The bull market is six years old, and nothing lasts forever. Between March 2009, when Toronto share prices touched bottom, and this week, the main Toronto stock market index has almost doubled. Last week’s interest rate cut may be the first of several. The bank’s message is that a bumpy road lies ahead. But each cut also adds a little more energy to the markets. It makes it cheaper for companies to borrow, which improves their profitability and so lifts share prices. It makes it cheaper for us to borrow to buy stocks. But should we? Yes- borrowing for investments can be a good idea, if you do it right. We are now entering week 5 of our Core Conditioning Program Accountability Challenge. What is the goal(s) that I am committed to achieving over the next 52 weeks? What did I say I was going to do this past week? How do I feel about it? Briefly describe your victories or challenges from the past week. 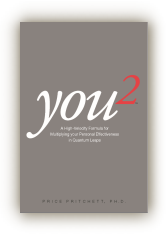 You have everything you need inside you right now to make a Quantum Leap in 2015. The question is WILL YOU? “Right now, in this moment, you are capable of exponential improvement in your performance. You can multiply your personal effectiveness, hit new highs, and shatter your old achievement records. The results you can have will be hard to imagine”. These wonderfully encouraging and very powerful words, come right out of one of my favourite books; You2 by Price Pritchett. I believe that we sell ourselves way too short in setting and reaching our goals. We end up settling for results that are well below our true potential. 1. Ignore Conventional Approaches: What one thing will you do differently this week to help you reach your goal? To make a quantum leap, you’ve got to break out of the rut you’ve been running. This week I want you to try something completely different in pursuit of your goal. It is easy, far too easy to become addicted to our existing habits and methodologies. Perhaps you work out late at lunchtime. This week can you work out first thing in the morning? If you always eat cereal and toast for breakfast, instead treat yourself to a delicious and nutritious protein shake. The key is to break out of your normal routine. Moving to a higher level calls for a fresh perspective, which can actually mean a path of less Resistance. 2. Suspend Disbelief: This week “Act as if” your success is for certain. Often the major obstacle to achieving the quantum leaps that we are looking for is our own lack of belief that we can make it happen. This week I want to focus on suspending any lingering doubts or disbeliefs that may be floating around in that head of yours. I know they are there, I can feel them myself. Think of an actor when they take on a role. To be really successful, and believable they have to take on all of the characteristics of that role, don’t they? The mannerisms, the thoughts, the physical presence, the subtle nuances. In other words for that role, they become that person. What one thing would you be doing differently if you knew your success was for certain? Pretend you are an actor; take on one characteristic of the person that you desire to become. Go do it now. 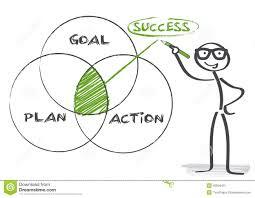 One of the areas that I enjoy most writing and speaking about is in the area of goal setting. It;s actually one of the focal points of my Core Conditioning Program. If you aren’t familiar with it, be sure to check it out at www.coreconditioningprogram.ca. Experience has taught me that following a successful formula for achieving your most important goals is a challenging area for many people, and one that they need help with. That’s why I’m always on the look out for helpful resources that can help my clients, contacts & friends to achieve their personal & financial goals by getting to the core of what is most important to them, and ultimately get the most out of their money & their lives. When it comes to being successful in any part of our lives, it;s our thoughts & actions repeated on a consistent basis until they become habits that determine our success. Be sure to give this article a read, and help a friend by passing it along to them. ​If you Google “daily habits of successful people” you’ll find almost every business-focused media outlet represented in the results. But if you’re looking for a guaranteed roadmap to success, don’t get excited just yet. If you read all of those articles, or even a few of them, you’ll soon realize that successful people have a wide range of daily habits. So how are any of us supposed to figure out which daily habits are critical to success, and which are personal preference and idiosyncrasy? If you take a look at all the different lists of habits, routines, principles and priorities among successful entrepreneurs you’ll find these three universal success factors.